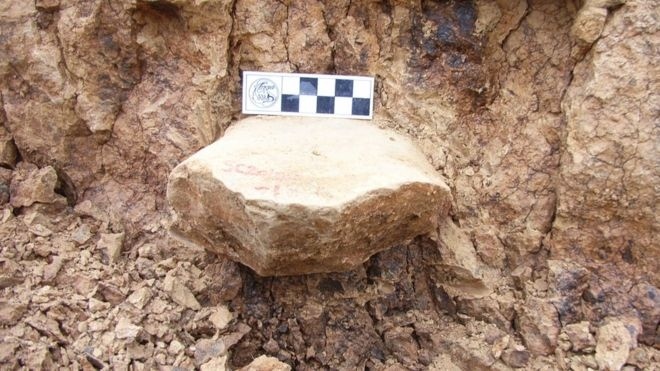 AKIPRESS.COM - Scientists say they've found the earliest known evidence of a human presence outside Africa, BBC reports. Stone tools discovered in China suggest primitive humans - or a close relative - were in the region as early as 2.12 million years ago. They are about 270,000 years older than the previous earliest evidence, which consists of bones and tools from Dmanisi in Georgia. The research, by a Chinese-British team, appears in the journal Nature. The stone artefacts were discovered at Shangchen on a plateau in northern China. They comprise different types of stone tools constructed for a variety of purposes. All show signs of having been used. Most were made of quartzite and quartz rock that probably came from the foothills of the Qinling Mountains, five to 10 km to the south of the dig site. But we don't know for sure which species of human relative made them.